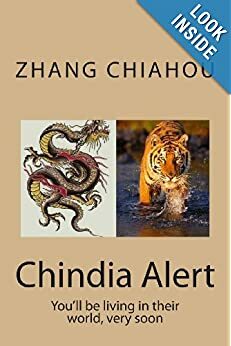 Whatever will the Chinese think of next? 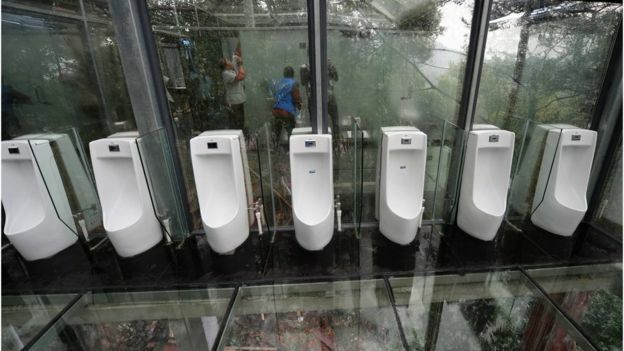 China’s recent obsession with glass tourist attractions has gone round the U-bend with the opening of some see-through treetop public toilets. The loos, near Shiyan Lake in southern Hunan province, have fabulous views of both the forest below and other people using the facilities. Cubicle walls, even those between the men’s and women’s sections, are only separated by lightly frosted glass. But state media said few visitors dared use the loos on their opening day. 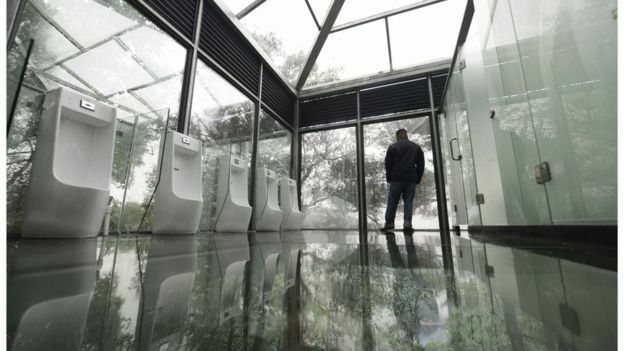 Despite a boom in the construction of glass bridges and walkways in scenic locations in China in recent years – in some cases so popular they had to be closed – these are thought to be the first entirely glass public bathrooms in the country. However, it not the first time those busting to go have been exposed a little more than they might like by the enthusiasm for glass. 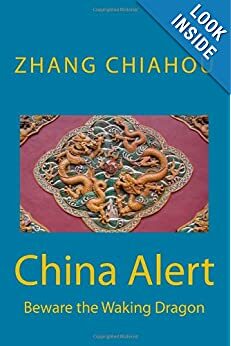 There were reports recently of some male toilets in a university dorm in Hunan which included one very public cubicle. Others were more taken by the idea. “You’ll be surprised by what you can tolerate when you really, really need to go,” said one post. Awkward or not, it is hoped that these bathrooms for the brave will encourage tourists to visit the countryside around Changsha city and admire the spectacular autumn colours of its forests. 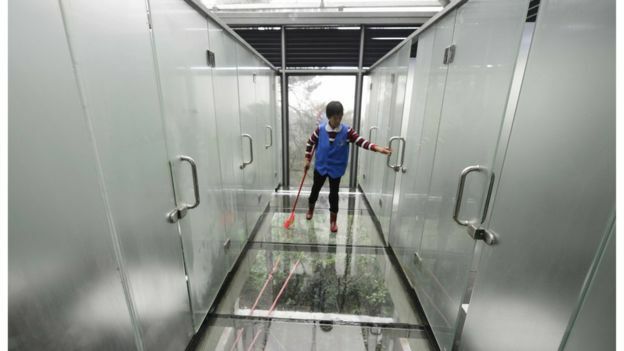 Glass loos open in China—I have read this with some amusements. 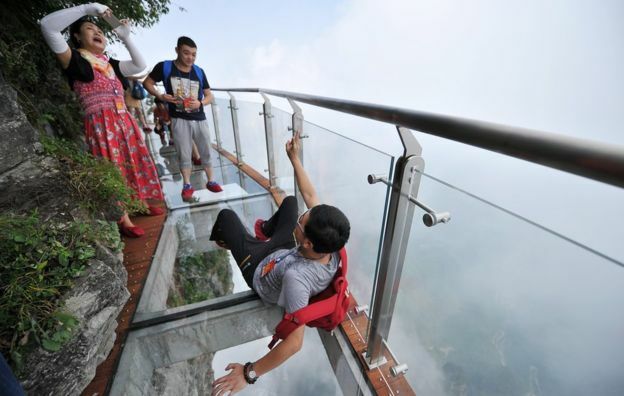 First, glass bridges and walkways in scenic locations in China—this appears to be good for a tourists attraction and something new for selfies etc. But when I read about the see-through tree top public toilet..I thought they are taking the piss! 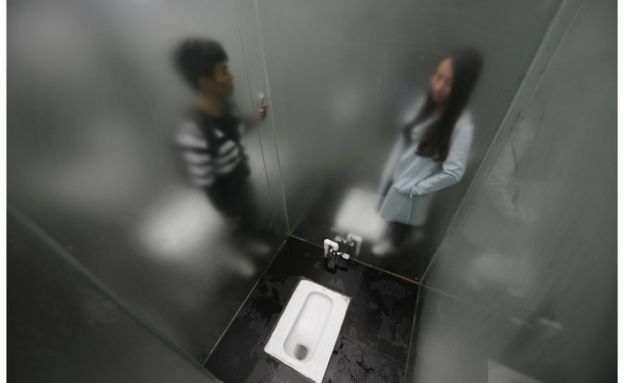 The male toilets in a University dorm in Hunan which include one very public cubicle….will be flushed with success! Do such innovative proposals need Planning Application approval? I Wonder! What Next?….May be a Honeymoon suit?